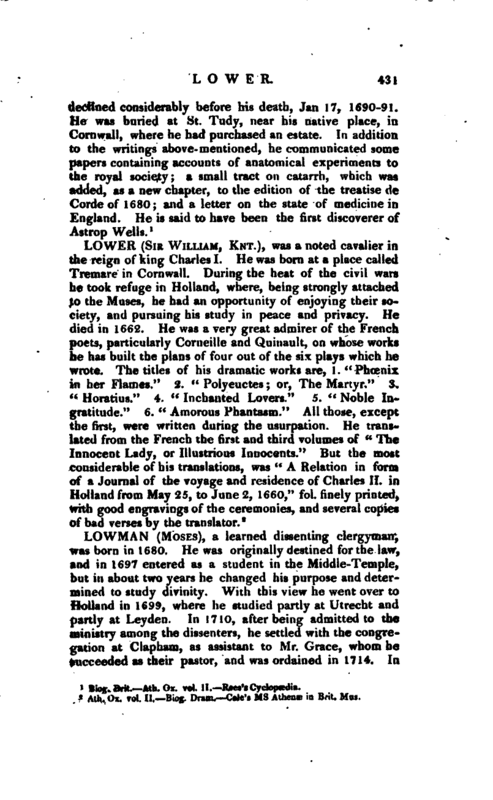 WORDS: BIOG: Lower, Sir William, Knt. Ath. Ox. vol. II. Biog. Dram. Cele’s ms Athenae in Brit. Mus.